Dell EMC has appointed Dicker Data as a distributor in New Zealand, as the tech giant expands capabilities across the local channel. Effective 6 August, the agreement spans the vendor’s entire portfolio of solutions, including notebooks, desktops, server, storage, networking and peripherals. “Dell EMC is proud to be extending its partnership with Dicker Data into New Zealand,” said Geoff Wright, general manager of channels A/NZ at Dell EMC. The appointment comes 11 months after Reseller News exclusively revealed that the tech giant was placing Kiwi distribution under review, in response to strong local growth. While the process took longer than forecast by Reseller News, the end result is the addition of a second distributor to a market already served by Ingram Micro in New Zealand. When speaking to Reseller News, Wright said the agreement will result in “no change” in the vendor’s relationship with Ingram Micro locally however. “The appointment of Dicker Data in New Zealand reflects the ongoing growth of our distribution business across Australia and New Zealand,” Wright explained. “At this stage, our New Zealand channel business is growing, but slower than the rate of Australia. Dicker Data is no stranger to the Dell EMC solution set, having took on the vendor’s entire kitbag of offerings in Australia from May 2017, with New Zealand representing a natural extension of the partnership. “Since taking on their entire portfolio in Australia over a year ago, Dell EMC has quickly become our fastest growing vendor,” added David Dicker, chairman and CEO of Dicker Data. As a result, the Dicker Data team in New Zealand is now “actively positioning” Dell EMC within its ecosystem of partners. “Dicker Data New Zealand is known for its strength in the mid-market and enterprise sectors and that has fuelled our growth for many years,” said Vlad Mitnovetski, COO of Dicker Data, when speaking to Reseller News. As such, Mitnovetski said the addition of Dell EMC’s complete portfolio represents a "perfect fit" for the local business, amid the expansion of mid-market and enterprise offerings alongside aspirations in the SMB segment. 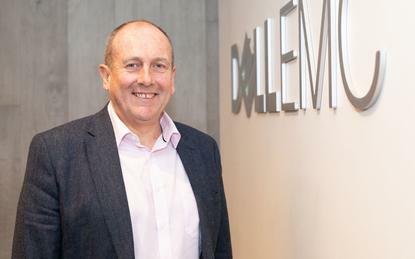 “We believe Dell EMC are perfectly positioned to capitalise on the opportunities our valued partners are closing each and every day,” Mitnovetski added. In September 2016, Dell then completed its acquisition of EMC, creating the world’s largest privately-controlled tech company in the process. Fast forward to 2018 and the tech titan has expanded channel capabilities further through Dicker Data, less than seven months after the distributor was handed the wider Hewlett Packard Enterprise portfolio in New Zealand. As revealed by Reseller News, the appointment was in response to missing out on the lucrative Cisco portfolio in August 2017, with Dicker Data now distributing Aruba, data centre networking and Nimble Storage ranges. Dicker Data also previously distributed Nimble Storage in New Zealand, prior to the vendor's acquisition by HPE in March 2017.